Aristides was a statesman in Athens, and was partly responsible for driving the Persians from Europe. He was known as the polar opposite of a different statesman, Themistocles. Aristides and Themistocles argued about Themistocles’ naval policy, the former wanting Athens to remain a land power. He was also a very wise judge, known as the “Just”. Unfortunately, this title caused Themistocles to accuse Aristides of taking control of the courts. Themistocles proceeded to start a movement to have Aristides banished. Unfortunately, he succeeded. He was sentenced to be banished for 10 years. But three years into his banishment, all of the banished people were called back into Athens because the Persians were invading and the Athenian government needed more people. 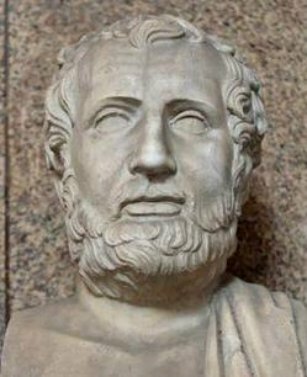 Aristides was then loyal to Themistocles at the battle of Salamis, and helped the Athenian army defeat a Persian garrison. Aristides was the commander of the Battle of Plataea, the final land battle of the war. Aristides won the confidence of the Ionians, and they formed an alliance. Aristides was then elected the leader of this alliance. After the war, Aristides continued hold a high position in Athens. He died in Athens after some years. If you want to read more about Aristides, I would recommend checking out Plutarch’s Lives For Boys and Girls.